Why Refinish?Sink, tile, and bathtub refinishing developed as an industry over 30 years ago as a very cost effective and time saving measure over gutting and replacement. Cabinet, countertop, tile and fiberglass refinishing soon followed as the many advantages of refinishing became apparent. 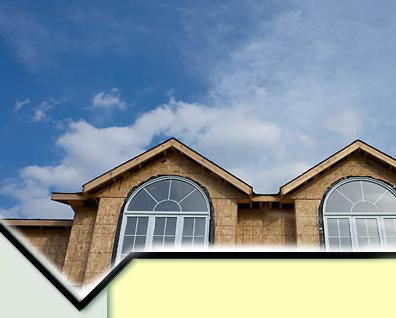 Refinishing is also known in the industry as glazing, reglazing, or resurfacing. The purchase of a bathtub can cost as little as $300, but after adding up all the costs that a contractor would charge, the total cost quickly grows up to thousands. Do you have unsightly or damaged tiles in your bathroom or kitchen? Looking to replace it? Refinishing your tile bathtub surrounds or ceramic tile on your walls or countertops is both, economical and practical alternative to replacement. Buying replacement tile can be expensive, and the process of removal and installation can be a hassle. If you have chipped or cracked tile in your home or are looking to update the color of your tile for a more modern look, call Bt-Techs today and ask us about our bathroom tile resurfacing services. We use specialized fillers and compounds to fill in any cracks, holes, or missing grout lines, and once the reglazing process is complete, your tile will look brand new and will be easy to clean with a mild liquid cleaner. Tired of cleaning the grout lines in your bathtub or shower? Caulk and grout are both naturally porous materials, and are prone to collecting mold and mildew which can be difficult to clean. By combining the process of bathtub refinishing with bathroom tile resurfacing, Bt-Techs can eliminate those hard-to-clean caulk and grout lines, thus improving the appearance of your bathroom and making your cleaning chores a bit easier. Prior to the refinishing process, we will repair any damaged or missing caulking between the bathtub and the tile surround. Then, we can refinish both the tile and the bathtub simultaneously, creating a uniform, water-tight coating. There will no longer be any exposed caulk or grout lines, eliminating the possibility of mold or mildew build-up in those areas. 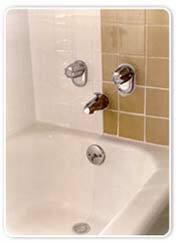 Bt-techs can also repair and refinish your damaged or faded acrylic or fiberglass bathtub surrounds. In most cases, our reglazing compounds are superior in durability to the original manufacturer specifications, and you will also notice an increase in the luster of your bathtub or shower surface. On top of that, your surround will be easier to clean after the refinishing process! *Based on the national average ​Prices may vary by region.